As part of their participation in the NPFMS accredited businesses can access reduced cost diagnostics through the following providers. Phosyn Analytical was established in 2001 and provides nutritional analysis of soil and media, plant tissue (including fruit, vegetables and grains) and water samples across the agricultural, horticultural, amenity and environmental sectors. Grow Help Australia is a service offered through the Queensland Department of Agriculture which provides pest and disease diagnostic services for all horticultural crops. FMS accredited businesses are eligible for ten free diagnostic tests each year with further tests available at a significant discount. For further information on the services available to production nurseries through Grow Help Australia please visit the website below. NPFMS technical advisors may be able to assist businesses in a number of ways such as preparing to meet audit requirements or through the provision of technical advice to improve on farm operations. Technical advisors may be available through levy funded mechanisms or through a fee for service basis. The following lists the currently appointed NPFMS Technical Advisors. John joined NGIA in Dec 2015 to lead the industry biosecurity program. Prior to this John previously worked with NGIQ for a number of years as an industry development manager. John has extensive experience in the nursery industry with a broad knowledge of nursery production practices and an in-depth knowledge of the NPFMS. Lex McMullin – Queensland and Northern New South Wales. Lex has considerable experience in the industry as a private consultant and having previously been a nursery production manager. After this Lex was employed by NGIQ where he has spent a number of years auditing the Nursery Production FMS in Queensland and providing technical extension to growers under the rural Water Use Initiative. Lex has an extensive knowledge of irrigation management and has provided consultation services to the broader horticultural sector on this topic over a number of years. Joining NGIA in March 2017 as a Biosecurity Certification Officer, Tony has over 30 years’ experience in horticulture. Across his career, Tony has worked in many of the temperate perennial fruit crop industries including; citrus, grapes, avocados, stone and pome fruit, with roles ranging from; grower services, pest and disease scout, though to grower and DAWR certified export officer. This diverse background, along with extensive experience in on-farm certification through to export programs, provides Tony with a strong affinity to relate to growers’ on-farm issues. Tony is also completing a Bachelor of Horticulture through Charles Sturt University. 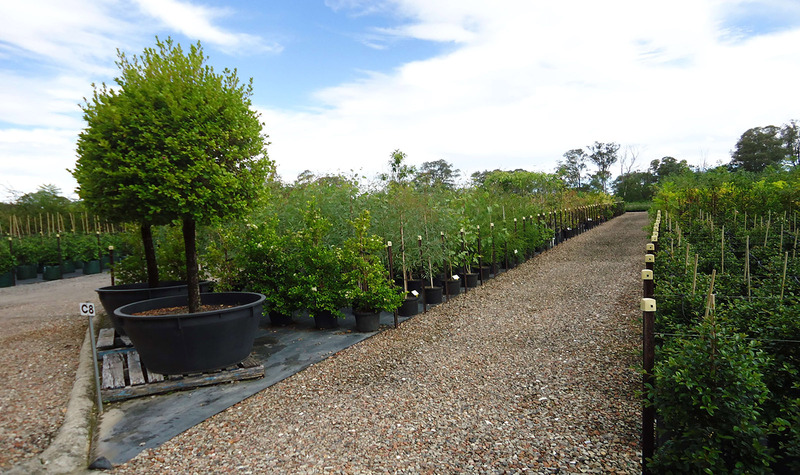 Chris has a number of years’ experience in the industry having previously been employed by Bunnings and Mitre 10 buying plants in state and national roles. In 2012 Chris joined NGIA focusing on industry technical and policy issues and his involvement in these areas has provided him with a solid background underpinning his knowledge of the NPFMS. Grant Dalwood – South Australia. Grant has had 30 years within industry including time as a production nursery owner, Industry Development Officer with NGISA and most recently as the chief executive officer of NGISA. Grant also undertakes audits for PIRSA – Biosecurity SA. During all of these roles Grant has built considerable experience with the NPFMS program and is able to contribute a wealth of knowledge to growers. David is the Policy and Technical manager at NGIV where he focuses upon state policy and technical issues and immediately prior to this, David was the NGIV Industry Development Officer. Before working for NGIV, David was employed by the Victorian Department of Primary industries in a number of diverse roles. David’s extensive involvement in auditing the NPFMS for Victorian businesses and his prior employment with the DPI enables him to bring a considerable experience to growers in the NPFMS. Currently a TAFE lecturer in horticulture, Steve holds a considerable knowledge of production nursery management. Steve’s experience includes firsthand familiarity of the NPFMS program gained through 20 years of owning his own production nursery which was NIASA accredited. Technical support for industry may be provided by NGIA under a funded project(s) or through the various state/territory Nursery & Garden Industry peak bodies as a member benefit or a fee for service activity. Please contact the relevant body to seek information on the services provided.